Here are my favorite posts on going Beyond Outreach from 2011, a year with few posts. The best evangelists I know are not pastors or preachers. They are not ordained. They are not very good public speakers. They are not “leaders” in the business sense of the word. Most of them work full time jobs, but they are lower-middle class at best. Excluding People from the Good News! Ninety Percent of church evangelism methods, discipleship materials, and ministry strategy targets the highly literate. In fact, the overwhelming majority of church ministry is done in such a way that it is difficult or impossible for an oral preference learner to follow. It is among those outside of traditional church culture that the fields are white unto harvest. This is where the lost sheep have gone...[Unfortunately,] many Christians think that crossing cultures is a step beyond the general mandate. Just 3% of the churches in the Georgia Baptist Convention accounted for more than 26% of all the baptisms in the state association in 2008. These churches reached and baptized nearly ten times as many people as the typical Georgia Baptist church of the same size. One of the greatest means of evangelism is a daily broad-based telling of what you have learned of God each day. Like scattering or sowing seed, some will land on good soil and produce a harvest of souls. It is neither argumentative nor manipulative (a straw-man argument many make against witnessing). If you don’t meditate of God’s word regularly, you won’t have much to share, and you will keep quiet. So, build this habit too, if you haven’t already. I also posted an example of this in post WWII China in the post An Observation of Good Soil. Guy Muse, one of our IMB missionaries serving in Ecuador relates another great example of this declaration of Jesus. This story is so simple and personal. A great read. Here is an excerpt. Marlene was a member of a local Baptist church in Guayaquil. For several years she tried to motivate her fellow brothers and sisters to be more engaged in evangelism, discipleship, and church planting. Excuses were always along the lines of "it is not in this year's budget," "we have a meeting planned to discuss this next month," "we have several outreach activities planned this year that will hopefully bring some new people into our church," "we don't have the money to plant a new church." No surprise that little to nothing was being done. Marlene was part of an organic church planting training we were asked to do at her church through an invitation made to us by the pastor. At the end of the training, Marlene respectfully requested permission to start a new house church, explaining to her pastor she wanted to put into practice what had been learned during the training. Her pastor gave his blessing. Within a few weeks Marlene had won several friends and neighbors to the Lord through her house-to-house visitation, and through contacts made in her local business. The first year Marlene baptized 18 and spent many hours discipling these new believers. They began meeting several times per week in Marlene's home as a new church start. The "mother church" with all their programs, budget, and paid ministry staff baptized three people that same year. The story continues, relating how the discipling of one specific couple led to an entire family network coming to Jesus (30 fold), then how relatives, friends and neighbors were reached (60 fold), and finally how this turned into a network of new churches of new believers (100 fold). Read it all in the post 30,60 and 100-fold on The M Blog. These blogs are a hobby of mine. I have a history of updating them in spurts, and taking long unannounced breaks when other projects come up. There are a number of posts on the backburner right now, but I just haven’t had the time to write them out. This year, 2011, started with a number of challenges for us. We returned from our Christmas visit to the US, only to find that we had to make some quick adjustments. We found out that we had to move from our apartment and in short order. We prepared and moved into a house in a nearby neighborhood. Our son’s afternoon preschool closed down, so we enrolled him in a new preschool near our new place. We had to make a significant change in our budget and so we reduced it by a third and I started working teaching English again. Though we have been planning to move to the US for a while now, our church search process has taken longer than we expected. We’ve come close, but God guided us in others directions. Following His lead, we have set a definitive date to move to the US even if that means moving without a church position. We are still watching for God’s assignment there. In the meantime, there is much to do here. Loaise continues to run and manage her company, and plan for our transition. I am preparing to travel to a few different places in Brazil and lead training workshops this year. I am helping a local church to learn the ropes of starting daughter churches in nearby neighborhoods, and assisting its pastor and deacons in better organizing the church’s committee structure. I continue to teach Bible storying and oral discipleship methods in this city. Those of you who know me, know of my challenges with hearing. 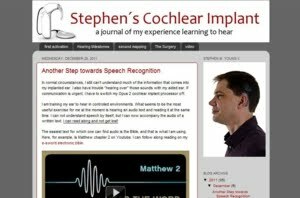 I was born with hearing impairment and have used a hearing aid for 30 years. Even so, I have been able to learn other languages and work effectively in ministry and missions. Most of the time I don’t remember I am hearing impaired. This year, I learned that I could receive a cochlear implant and hearing rehab through the Brazilian One Health System. I had never considered this surgery in the past, as it was both extremely expensive and indicated only for my hearing ear. This would mean destroying the hearing I already had. Technology has advanced. I can now receive an implant for my deaf ear instead. By using both my health insurance and the One Health System, I can have this surgery without charge, and in my own city! This could significantly improve my hearing range and comprehension, and there is no risk to my hearing as it is now. What a blessing! We continue to work hard in mission and ministry in Jesus name. There are many who need to hear, and many who need to follow. We are working steadily on transition as well. I also have a number of online projects that I will be revealing in the coming months. We continue to talk with churches in Louisiana, mostly in the Baton Rouge area, and believe that God has been preparing a church for us, as he also prepares us. Where ever you live, continue to serve God, doing the hard work of evangelism and disciple making to the glory of Jesus. We are coworkers in his Kingdom. Keep watching this blog and my others as I will be bringing new blog articles and updates. When I began serving as a Minister to Single Adults, our church was deeply involved in a grief and divorce recovery ministry. That ministry has been going strong for nearly 15 years now. It has been a steady tool of evangelism and discipleship for the church, and will continue to be as long as the ministry continues. What amazed me, though, was how so many other churches wanted to implement the exact same ministry. Our pastoral care pastor wanted so much to break out and expand to ministry to chemical abuse addictions, sexual addictions, homosexuality issues, etc. He is always looking for the edge. The other churches just wanted a reliable, predictable ministry that they could copy. I often wondered why smaller churches never specialized. (The one I served in and with whom I maintain membership while on the mission field is a larger church.) It seems logical that one church targeting a specialized ministry area and another targeting another would be extremely beneficial to the overall goal of evangelism in a city. This is not something that can be organized from a hierarchy, however. Even so, if churches payed attention, each one could find a niche ministry, and that would be a good thing. The Church Unique Visual Summary is an engaging overview of the key concepts from the book Church Unique by Will Mancini. Have a look. Okay, now that I’ve got your attention, I want to point you to a wonderful resource. Joe McKeever is the retired Director of Missions of the Baptist Association of Greater New Orleans. He is very active preaching and blogging. Dr. McKeever’s blog is full of more good, Godly and practical advice for pastors and ministers than I have found in any other place. Here are just some of his articles that I have found interesting, helpful and challenging. Ten Foundational Principles to Tell Your People Again and Again - If you have pastored for more than four or five years, or if you are in your second (or more) pastorate, you have learned the hard way that saying something one time to your people does not suffice. Some lessons--the most important ones, particularly--have to be said again and again. The Trap That Snares Assistant Pastors – Church leaders told the preacher, "From now on, when you see you're going to be out of town, there's no need to bring in guest preachers. Joe can handle it." And that's when it began to happen. That snare that traps all assistant pastors at one time or the other began to be set for me. Dealing With The Preacher-Eaters in the Pews - Pity the new pastor who walks into a church unprepared to deal with carnal leaders who enjoy their power positions and cannot wait to let the new minister know who's in charge. Twenty Things I Wish I Had Known As A Young Pastor - I found this list the other day, written perhaps a dozen years ago. As a veteran of 42 years in the pastorate, I have made my share of mistakes and have compiled a lengthy list of regrets. What To Tell A Hurting Church - One of the best parts of serving as a Director of Missions for a Baptist association is that churches in trouble call on you for assistance. That's also one of the worst aspects of the job. 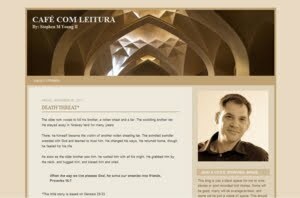 The Ultimate Phobia: Why Christians Fear to Witness - Why are good, normal, otherwise confident Christian people scared to death of knocking on a door? I think I know, and it's not just that we don't know what to do or don't love the Lord enough or lack holiness. Sorry, Henry Blackaby, my dear brother. I think it's something else. The heart of this blog is evangelism. Baptisms have been trending down each year, and churches really are shrinking. Specifically, this blog is about evangelism and discipleship among those who don’t readily fit into a church’s culture. The American church is has been negligent in cross-cultural evangelism. As a result, in many churches evangelism is anemic at best. It is among those outside of traditional church culture that the fields are white unto harvest. This is where the lost sheep have gone. As Jesus said, "Those who are well have no need of a physician, but those who are sick. I came not to call the righteous, but sinners." But the values a church claims to hold are not always the values a church demonstrates by its actions. A church’s true values are revealed in their behavior, not their mission statements. This is the reason transition is so difficult. Churches try to implement new programs without understanding the conflicting values in the church. Wayne Key gives a good example. When values collide, churches stagnate. Value conflicts, especially between these unstated, unperceived values and the stated values of a ministry can lead to much dissension. The sad thing is, those on both sides of the issue feel like the other side is completely out of touch with what is really important. This can lead to distrust and disunity. It can kill a ministry and split a church. The unspoken values of a church, revealed only by behavior will always win out over the stated preferred values of a church, unless they are recognized and brought to light. Only then can a church honestly wrestle through what they really value most. Once they have done that, they can change their actions, policies and perhaps even authority structures. Help me out here in the comments section by suggesting some of the unspoken values that churches may have that can be barriers to real outreach and evangelism when they are prioritized to an unhealthy degree (or at all in some cases). Here are some that I have thought of. Please add to this list and suggest ways of lovingly exposing these values to the church. In my previous post I said “Years of church baptism reports seem to indicate that in a year’s time, typical church outreach wins about one person to Jesus for every 50 church members.” I was worried about that opening line, because it wasn’t sourced. I figured it out with a calculator and several annual reports from various state conventions. According to this article evaluating the 2010 SBC statistics on baptism and church membership, Southern Baptist churches reported 332,321 baptisms in 2010. Total membership was reported at 16,136,044. That means that last year our churches won just one person to Jesus for every 49 church members. My observation was right on target. I posted “A Guide to Getting Beyond Typical Church Outreach, Part One” a couple of weeks ago. This article has become larger than a typical blog post and needs to be divided up even more. When I conclude I will likely post the entire article as a PDF download. This is an update of part one. Years of church baptism reports seem to indicate that in a year’s time, typical church outreach wins about one person to Jesus for every 50 church members. Sometimes, small churches with part-time staff and virtually no resources are able to out baptize the big ones. I recommend paying attention to those churches. There are a number of churches, though, that do the outreach programs and follow them faithfully and struggle to baptize more than a handful of people in a year's time. When a church is not evangelistic, it is doing something wrong. As I counsel churches to begin to break new ground evangelistically, these are things I believe to be essential. Prayer is essential to reaching a city for Jesus. It is the starting point for everything we do, and should permeate everything that is done. Prayer ought to take up a significant portion of our daily time. When do not pray, our thoughts, our affections, and our work all serve our own interests rather than God’s. Without prayer it is impossible to succeed in ministry. You might as well not even try. In my experience most Christians do not spend even ten full minutes in prayer each day. They may say prayers at meals, when getting up and going to bed, and during weekly church prayer meetings, but they do not spend as much time praying as they do talking on the phone or even watching commercials on TV. Change this one thing and watch the Kingdom of God advance. Scripture is our final authority for faith and practice. It is the source for all preaching and teaching. Everyone should be conditioned to go directly to the Bible for instruction, answers, examples and warnings. If dependence is established on any teacher (or Bible study guide or book), other than holy scripture and the holy spirit, then evangelism will stagnate. Elevate scripture over constitution and by-laws. Lovingly challenge church leaders to compare policies with those of Scripture as they relate to evangelism, church planting, and providing for leadership. Let this comparison be the subject of prayer and an open forum. If church policies put burdensome prerequisites on obedience to commands in scripture, reproduction will be stifled. Elevate scripture by teaching obedience. Passive learners, hearers only, are not only disobedient, but they model disobedience to new Christians. Obedience is more important than knowledge. Every Bible study should end with an opportunity for people to share what they will do in obedience to the passage learned. Gaining insight is not spiritual growth, obedience is. That sounds silly, but it is biblical. Through the parable of the sower, Jesus likened the gospel to seed falling on the ground. On good soil the seed sprouts, grows and reproduces 30, 60, and even 100 times. That corresponds to a 2,900%, 5,900%, and 9,900% increase. By comparison, my home association, the Baptist Association of Greater Baton Rouge, reported just over 42,000 church members in 2010 and just under 700 baptisms for the year. That is about a 1.6% increase. Over a generation of 40 years that corresponds to a 64% increase. According to Jesus, the worst yield in good soil should be a 2,900% increase. Setting a goal requires your church to be intentional about reproduction and to have a plan. That plan must be bigger than your church and, really, bigger than your association. So many pastors prepare “bold” plans to fill their sanctuaries, or the sanctuaries of the new buildings they envision. Regularly filling a dream sanctuary to seating capacity is not a Kingdom goal. When we settle for mediocre reproduction, we are negligent. Sinfully so. For further reading see: How to Measure Success as a Pastor. When a Church Changes Size, An Observation of Good Soil and Grow Your Church or Reach Your Community? 5. Become a Master of Group Dynamics. Just 3% of the churches in the Georgia Baptist Convention accounted for more than 26% of all the baptisms in the state association in 2008. These churches reached and baptized nearly 10 times as many people as the typical Georgia Baptist church of the same size. These churches were studied and the Georgia Baptist Convention published a booklet revealing the statistics and lessons learned from these churches. I missed this booklet when it was first published, but it is free and a worthy read for anyone seriously thinking through what it will take to shift their church evangelistically. Here is my summary of the top ten observations underscored in this booklet. Highly evangelistic churches prioritize evangelism. It seems too simple, but none of these churches were evangelistically passive. Each one had an intentional plan to reach out and this priority worked itself into all of the church body life. The pastors of highly evangelistic churches lead the charge. These pastors all had an obvious passion for evangelism, they consistently preached the gospel and called people to repentance, and they stayed with their churches for longer than most pastors do. Highly evangelistic churches call all of its members to evangelism. In each of these churches, there is a structure of involving and training all of the congregation in evangelism. The work is not set apart for just a few. Highly evangelistic churches pray for the lost by name. These churches sought to identify who needs to hear and who needs to repent and prayed for these individuals and families regularly, by name. All ministries in highly evangelistic churches are connected to evangelism. None of these churches had a unique ministry. All of their ministries were the same as ministries in other churches. The difference is that their ministries are connected to evangelism by design. Highly evangelistic churches reported that a significant percentage of their baptisms came from revivals and vacation bible schools. These two ministries are still a staple of baptisms for many evangelistic churches. Incidentally, these two ministries usually involve the highest level of congregational participation of any ministry. Sunday School and small group ministries are a hub for evangelism in highly evangelistic churches. 90% of the top evangelistic churches responded that they strategically and purposefully connect Sunday School to evangelism. Visiting people in their homes is a key strategy for highly evangelistic churches. Evangelistic churches equip and encourage members intentionally to develop relationships with the unchurched and that extends to the home. Highly evangelistic churches emphasize baptism for new believers. These churches call people from belief to action, from knowledge to obedience with baptism as the first step. Evangelistic churches involve new believers in body life through small groups. These churches immediately put new believers into small groups, sunday school classes, and new-member classes. Churches seeking to have an online presence can do so in many ways. The most obvious is to put up a website or blog. There are a couple of things to consider, however. First, having an online presence for your church means a lot more than a registering a domain name and hosting a site. Church members must bring Christ with them into social networks, message boards, blogs, comments, instant messenger programs, news sites, video sites and the like. Second, the target audience of a church web-presence should be unbelievers, not prospective church members. Reaching prospective church members can grow your organization and your budget, but reaching the lost grows the Kingdom. Unbelievers don't care about your church building location, service schedule, calendar of events, staff members, doctrinal statements or various ministries. They are neither making plans to attend your church nor to listen to your online sermons. Online outreach strategy should create and take advantage of opportunities for conversation between believers and unbelievers. Churches and believers need to be bringing the the message of the gospel into the daily internet chit-chat. I will blog on internet outreach and online outreach in the future. A good starting place to learn is Paul Watson’s blog Reaching the Online Generation. Here is a good article: Eight Questions for Starting an Online Ministry. [In] a recent First Things article (First Things, May 2011, pp. 14-16), three Baylor sociologists claim they have arrived at a reasonably accurate count, and they place the number at 70 million [Christians]. What can we conclude about these findings? On the upside, there is the simple fact that the church in China has grown from one million to 70 million. A 70-fold increase in 60 years is remarkable by anyone's reckoning. It also means that in China there are more professing Christians than there are members of the Communist Party. This is a 6,900% increase. That fits quite nicely in the curve or a 30, 60 and 100 fold return that Jesus cited in the parable of the sower. Good soil. What are the least churched cities in America? How does giving to missions affect local church budgets? How can one have integrity online? What is an inexpensive way to start a new church? Do churches have a life-cycle? Is each one reach one really the best evangelism strategy? I want to add an older one to this list, because I think it gets to the heart of oikos evangelism and disciple making. Group dynamics and starting the right way are essential in both discipleship and multiplication. This is one of the best articles with respect to the group process. The Bulletin and the Sunday Morning Pulpit. There was a time when the church was one of the primary social networks of a town. Announcements made from the pulpit were sure to be repeated and disseminated throughout the city. This is no longer the case, yet many churches still rely on the bulletin and announcements from the pulpit as their primary means of communication about upcoming events and as a principle method of recruiting. Times have changed and churches have adapted to some degree. When I served as Minister to Single Adults, our singles began to work the cutting edge, using email groups (Yahoo Groups) to inform each other about bible studies, coffee socials, church events and the like. This was big, but that was 10 years ago. Now, social networks and text messaging are have joined email in the world of real-time communication. Smartphones are permeating society and nearly all social classes, they function as one of the primary gateways to social networks and are the fastest growing means information exchange today. Ministries can send instant messages to massive numbers of contacts via smartphones and social networks, like twitter and facebook. It is now possible to create instant conference calls even over cellphones, send location maps for events, and share photos. In fact, nowadays entire books can be sent from one computer to another and one phone to another. Churches and ministries might do well to learn how to implement group messaging applications for quick and effective communication. They also should consider how smartphones and social networks can be a tool in evangelism and discipleship. Disclaimer: TECHNOLOGY AND TOOLS DO NOT DO THE WORK OF EVANGELISM AND DISCIPLESHIP FOR YOU. IT IS EASY TO GET DISTRACTED AND END UP DOING A LOT OF NOTHING. BE CAREFUL. That being said, here are some interesting applications I came across, but have not tried to use yet. The National Institute for Literacy estimates that 47% of adults (more than 200,000 individuals) in the City of Detroit are functionally illiterate, referring to the inability of an individual to use reading, speaking, writing, and computational skills in everyday life situations. Approximately half of these individuals have a high school diploma or GED, so this issue cannot be solely addressed by a focus on adult high-school completion. A number of municipalities demonstrate illiteracy rates rivaling Detroit: Southfield at 24%, Warren at 17%, Inkster at 34%, Pontiac at 34%. Many churches have not addressed the need to evangelize and disciple using oral methods because they have not felt the need. There are always enough literate prospects in the area to grow a church. The result is, that a great number of people are selectively excluded from the gospel message. To use a fishing metaphor, no one is fishing for Brim because plenty of Bass are biting their bait. The problem with this is that the church is not to be full of fishers of men in the sporting sense. The church is called to fish with nets. The call is to rescue the perishing. All of the “fish” in the water are dying and will die unless pulled out of the sea of death and given the water of life. So many churches are not genuinely concerned with winning the lost. What they deeply desire is to reach enough people to fill up their sanctuaries and meet their annual budgets. The goal of many churches is not to preach to gospel to every creature. That may be the stated goal, but the real goal is to present the gospel to just enough to win a few each year and keep the church comfortably full. At least, that is what national evangelism and discipleship results seem to indicate. Has your church considered orality in its ministry? Story4All – http://story4all.com Since most of today’s unreached have to, or prefer to, receive information via non-literate means, we believe it is essential that we communicate with them in a style and language that they understand. To this end we have launched the story4all podcast with a weekly show that will bring you news, interviews, discussion, reviews and links to resources that will help you discover the power of storying. The International Orality Network – http://oralbible.com ION exists to influence the Body of Christ to make disciples of all oral learners and to radically influence the way oral preference learners are evangelized and discipled in every people group. Simply the Story – http://www.simplythestory.org Most of the Christian discipleship, and even evangelism strategies use literate methods of communication. Importantly, the concepts we use for Simply The Story employ methods that are readily understood by oral as well as literate learners, so this very big gap is filled. 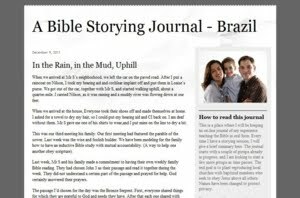 My Bible Storying Journal – http://smy2brazil.blogspot.com This is an on-line journal of some of my experiences teaching the Bible in oral form. On Easter Sunday, we had a barbecue here at our new home in Brazil. A friend of mine, Sergio, was one of the ones who came. Sergio is a man who is constantly reaping a harvest of souls for the Kingdom. I had been unpacking some more boxes and remembered that I had put my audio recorder in a backpack. So, I went downstairs and got it. (We have often barbecues on the roof in Brazil.) I interviewed Sergio for about an hour. In the next few posts, I am going to share some of his evangelism stories, and some of his thoughts on evangelism. The interview is recorded in Portuguese, and I may make that available at the end of this series. I will also finish with a post of my own observations from what he shared. 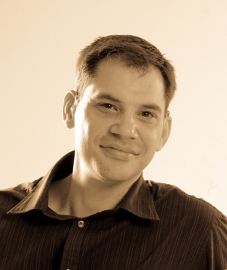 Sergio is an evangelist in the mold of those I wrote about in the post Daily Evangelism. The covenant and prayer of A. W. Tozer. Then, dear Lord, when I am old and weary and too tired to go on, have a place ready for me above, and make me to be numbered with Thy saints in glory everlasting. Amen. AMEN. What separates these evangelists from the rest of the pack, including me, is that they can not have a conversation about anything without including Jesus. Before the third sentence about anything and usually in the first, thanks is given to God. Before a conversation ends, there is an, offer, suggestion or even command to pray. Their vocabulary is peppered with words like blessed, love, God, Jesus, repent, forgive, pray, good, can you?, would you?, need, must, help, hurry. Most of these evangelist have a quirk or something in their personality that either rubs people the wrong way or the right way. There is not much in between. These people are not apathetic about anything and to them everyone is valuable. For them, everyone is living out a decision to follow or reject God, there is no middle ground. I want to be more like these people. Questions like, “Did you share Jesus with someone this week?” or “Have you ever led anyone to Christ?” are very low-bar questions for these kinds of evangelists. They are like “Did you pray this week?” or “Have you ever read part of the Bible?” The thought is that it is pretty pathetic if you have to answer no and answering yes is nothing to boast about. This is what is really meant by lifestyle evangelism. During December and January, I visited my home. I spoke at some churches and did a little research about the association. You can see a map of where the churches in the association are located in my post Mapping Out. Here are some of the key findings. In 2008 the average number of baptisms during the year per church was seven. In 2009 baptisms fell to and average of six per church for the year. In all there were just over 600 baptisms for the entire association in 2009, down over a hundred from the year before. This in an area that encompasses nearly a million people. Worse, more than 300 of those baptisms came from just 13 churches. That means the median number of baptisms (the point at which the same number of churches baptized more as baptized less) was just two. Are we even communication with those who don’t listen to sermons on Sundays? I visited home over the Christmas holiday. I spent two months in Baton Rouge and enjoyed the fellowship of many churches. It has been a while since I have posted on this blog. Today I decided to make a map of the Baptist Association of Greater Baton Rouge. 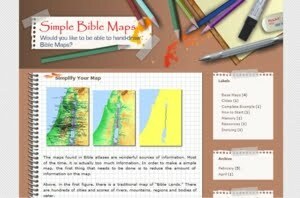 Click on the map to go to an interactive one, with zooming, panning, church names, etc.